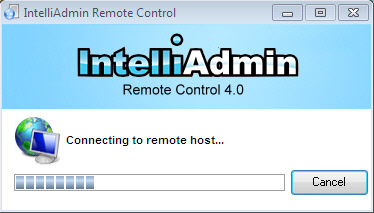 If you have not done it already – download IntelliAdmin Remote Control. The software consists of two components: a server, and a client. The server is installed on the machine, or machines you would like to control. The client is then used to connect and control those remote machines. In many cases it is not necessary to install the Server. If you have windows administrator access to the remote machine and it is on your LAN, the client will automatically push the Server to the remote machine for you. 1. 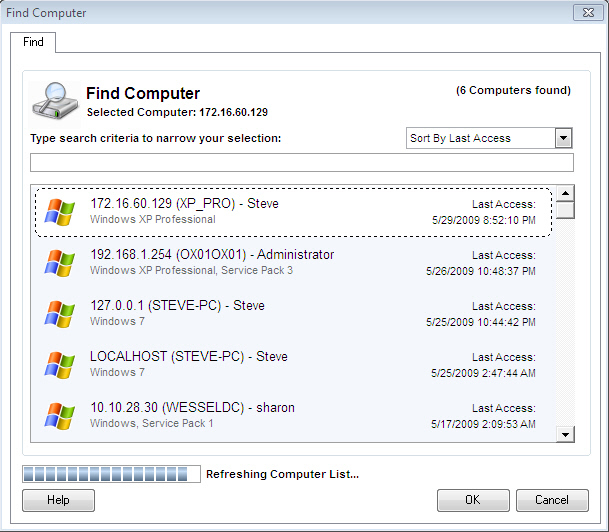 Windows Administrators – this selection allows any windows administrator of that machine to connect and control it. 2. 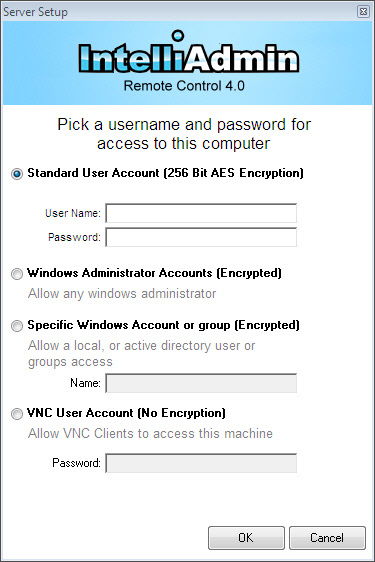 Specific Windows Account or group – this allows you to pick any windows username or security group to have access to this machine. 3. 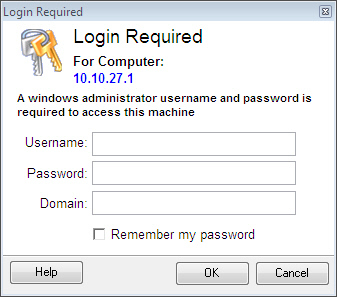 Standard User – this selection allows you to pick any username and password used to control the machine. This option does not use any windows accounts for authentication. 4. 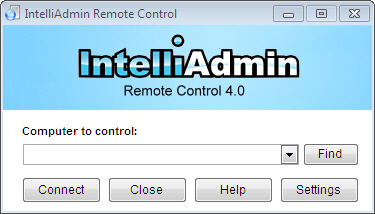 VNC User – this allows third party remote control clients like RealVNC to connect and access this machine. It also will open the VNC port 5900 when this is selected. Once you have completed the setup wizard, the client window will be displayed. 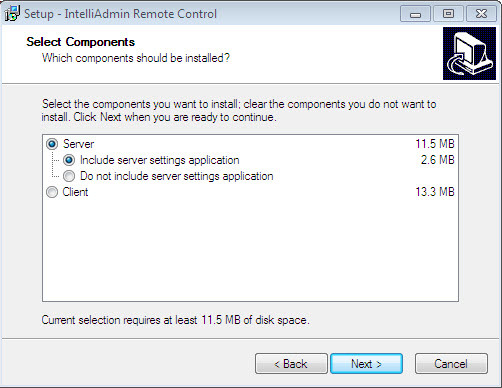 The remote control client will ask for the password that is valid on the remote machine. If the username and password are a local windows administrator, or an account setup by you. Once you type in a valid username and password you should be controlling the remote machine. 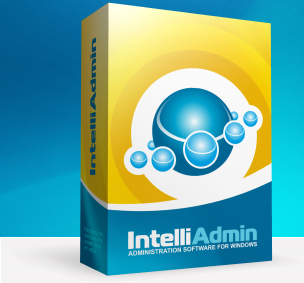 If you are still having problems feel freeto email us at support@intelliadmin.com we are always glad to help!